Amit J. Kasabe is working as Editor of Journal of current pharma research since year 2010. He is masters in Pharmaceutical Chemistry and having expertise in the area of formulation development, QSPR study, Biostatistics, synthesis, where his major research area is drug design and formulation based on QSPR. He is doing his PhD in pharmacy from Shivaji University, Kolhapur. He is having around 10 years of experience in various pharmaceutical sectors. He is working as main editor of e-Current Science Journals and Editor of Journal of Current Pharma Research. 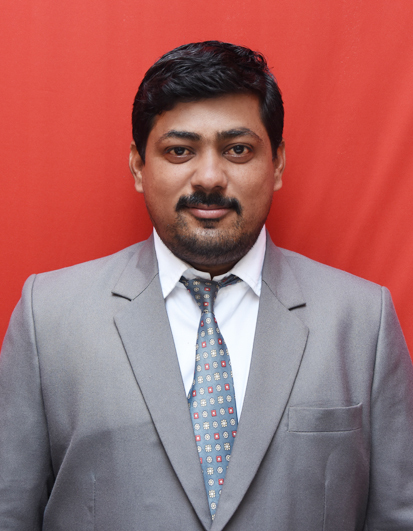 He is currently working as Assistant Professor in Department of Pharmaceutical Chemistry at PDEA’s Shankarrao Ursal College of Pharmaceutical Sciences and Research Centre, Kharadi, Pune-14, Maharashtra, India.